Let’s be honest, it shouldn’t come as any surprise to see China listed as one of the top travel destinations in the world. Those who have visited China almost never seem to get enough of the charming country and it’s quite easy to see why. After all, the “middle kingdom” is home to the world’s cutest animal: the pandas (biasness alert!)! Of course, apart from Po’s distant relatives, there’s also plenty to enjoy in terms of scenery and history as well. For those who have yet to visit China, it can seem like quite a daunting experience. When people talk about visiting China, one of the first questions asked is usually “I don’t speak Chinese, how ah, can travel ah?”. When I started planning for my first trip to Guilin, China, I had that exact question in mind. The simple answer to that, as I found out, is “yes”. Before I get into how I survived in Guilin without speaking a word of Mandarin though, I do have a few quick tips to share that can make your trip easier! I’m sure most of us have heard of China’s Great Firewall but for the uninitiated, the Chinese government actually blocks connections with external digital platforms coming in and out of their national borders. What that means is, while you’re in China, you might have difficulty accessing your social media networks and, gasp!, Google itself! 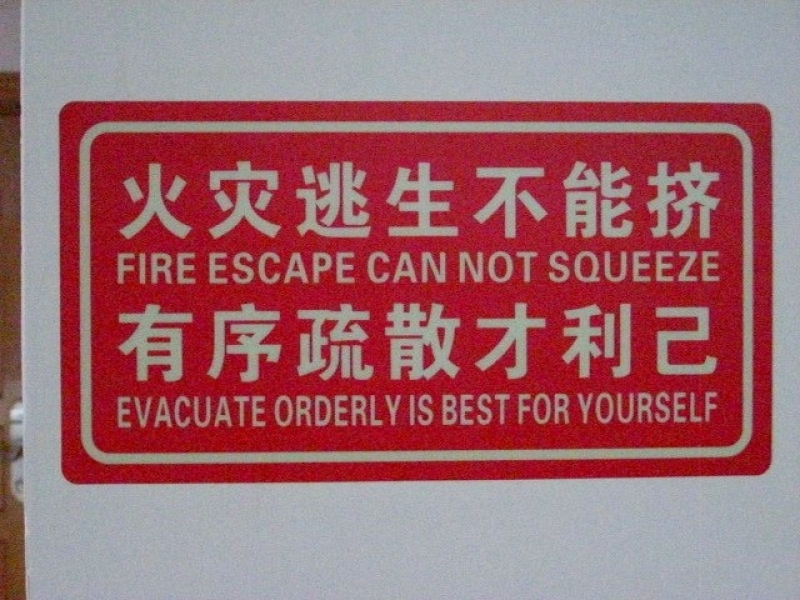 Sure, you can try to make do with Baidu (China’s default search engine), but sometimes the translation and information provided may be limited and inaccurate. Using the VPN app allows you to connect with another server (other than China) and you will have access again to your usual sites through your phone. So, I do strongly recommend that you get one before travelling to China. 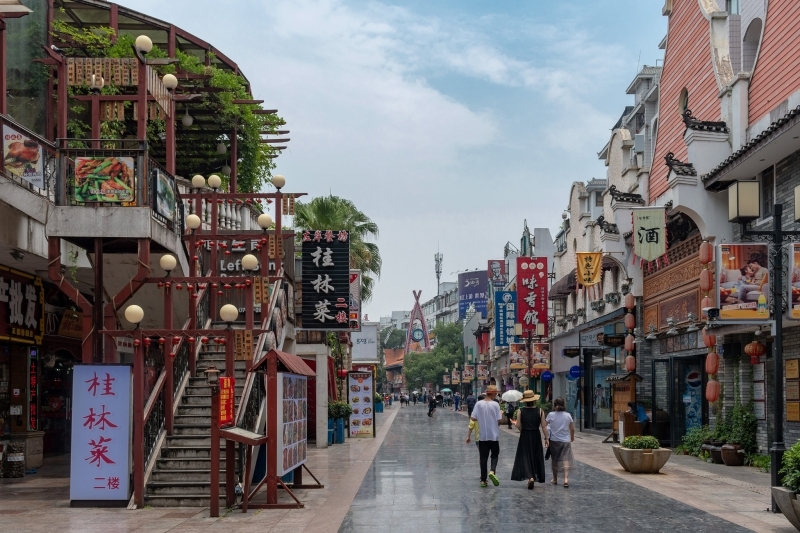 Since it is fairly a remote town compared to other parts of China and you might not be able to find a map that has English in Guilin, or signage or even another human that speaks the language. Add to that the potential problem with accessing Google maps, and you will see why preparing a physical map before you fly is important. If you prefer everything digital, you could also download an offline map. I used OmsAnd map app during my trip there. It is similar to Google Maps and is free to use. The map also features biking, hiking and walking paths if you are interested in any of the activities when you are there. Definitely worth the trouble to download it! Here’s a tip: install the Pleco app on your phone to make life easier for you! This app runs on a dictionary database, so you do not need the internet to access it. 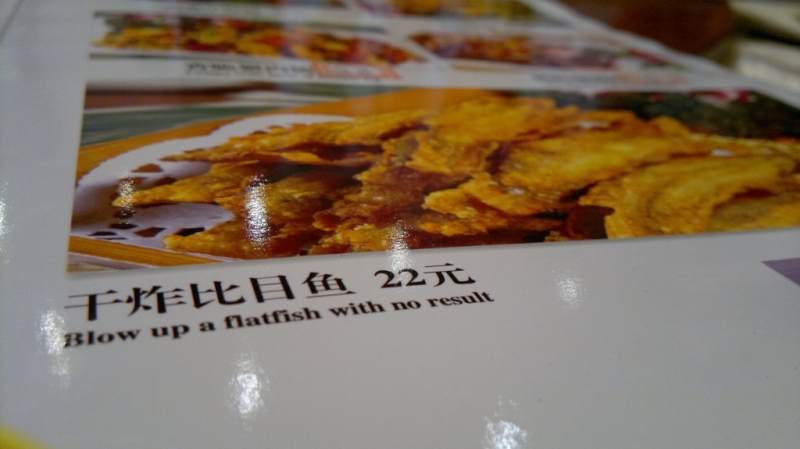 I used Pleco to instantly translate English – Chinese (and vice versa) when need info about signage on the street, information in museums or menus. After all, you wouldn’t want to order a “Dancing Bullfrog in Heaven” without at least a rough idea of what it might be! This practice becomes invaluable when you are lost. You can show the screenshot of the address to a taxi driver and s/he will know exactly where to take you. You may choose to write this down as well if you prefer, but please do note that some details would be in Chinese characters. During my time in Guilin, most of the taxi drivers did not know the English names for the hotels. Also, if you are staying at a hostel, these drivers probably would not know the place by name. Having the address is always easier and guarantees your taxi drivers will be able to locate it. Now that that’s out of the way, it’s time to tell you about the time I travelled Guilin for 4D3N without speaking a single word of Mandarin! You have made it through the customs and arrived at your hotel/hostel in China. You are excited and ready to explore the city for the first time! I felt that way too when I first arrived. Of course, the language barrier thing continued to plague my mind constantly. Eventually I got over it though! And here to help you out, these are my top 5 tips for you when moving around China! Travelling around Guilin was actually pretty convenient thanks to the abundance of public transport. 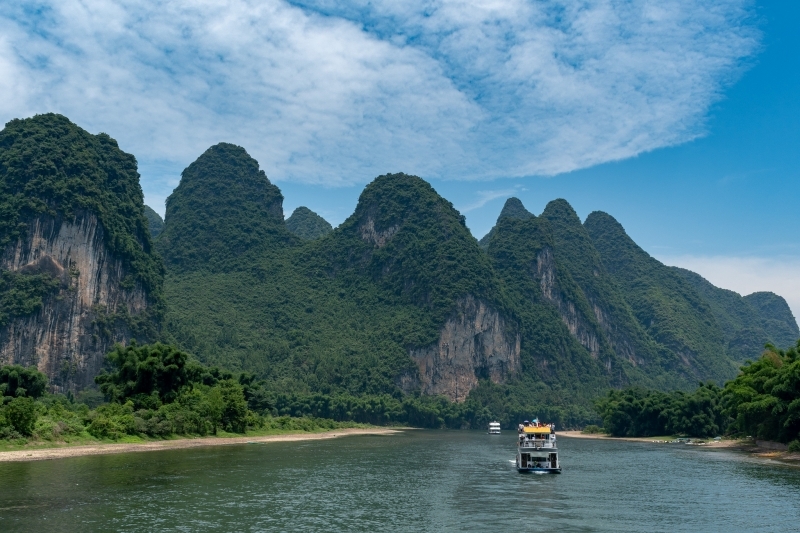 As a developed tourist destination, Guilin offers 8 tourism buses serving 110 routes free of charge for both locals and tourists alike. However, you might want to try to escape the rush hour which is at 09:00 and 17:00 daily as the bus will be crowded. The buses usually circles around the central town area, stopping at local hotspots such as the Sun and Moon Pagodas and the local night market. 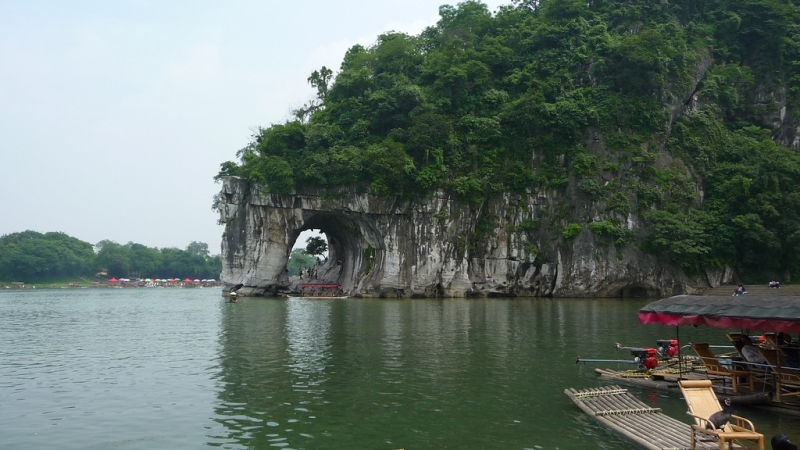 What I loved most about Guilin was that tourist spots were almost always just within walking distance of each other. The roads are fairly busy as well which made it conducive to walk. As most hotels/hostels will also be able to give you directions for travelling on foot, by bus or by trains, rest assured that you probably won’t get lost. Just make sure to ask them clearly where you want to go and they will be able to assist. 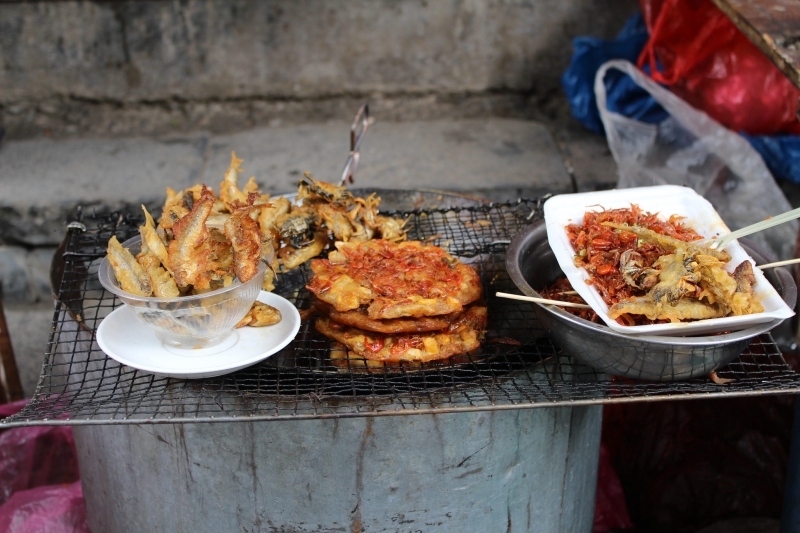 A breath-taking place like Guilin obviously would not disappoint when it comes to food either. That being said, be prepared to navigate using nothing but a photo to find your preferred eatery! What’s more, If you are more of an adventurous type, I suggest observing what others are ordering or simply pick out the best looking pictures in the menu if you can’t read Mandarin. To be honest, even if you find English translations in the menu, more often than not, they’re of no help. I have to admit they are pretty amusing though! I don’t regret being a little adventurous with food in China since it opened my taste buds to Chinese style dishes like braised duck and it quickly became one of my favourite dishes since then. So, as scary as it might seem, throw caution to the wind and go on a gastronomic adventure like only how a true “banana” can in China! Quick tip; if you are unable to consume any specific meat, I do encourage you to learn the Chinese characters of all meats so that you can recognise what is on the menu. This also includes characters for spicy and no spicy. 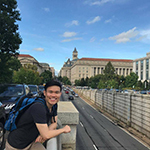 During my time in Guilin, I found myself unable to turn away from the following places: The Walking Street — Zhengyang Pedestrian Street, Night Market — Xicheng Pedestrian Street and the Underground Market — “Little Hong Kong”. That’s because these places offer so many items to purchase, you’d be hard pressed not to come back. Of course, if you intend to shop at these places, you would probably not be able to escape from bargaining for the best price for your budget. In some areas, you would get price tags (which also means strictly no bargaining). But, if you go to places like the night market, or the underground market, there will be opportunities for you to bargain. Some shop owners would be able to say the price in English but if they don’t, I always use a calculator to clarify their price and also the price that I want. If you do not have a calculator, do not worry as most shops would have one. This is all part and parcel of their job. Tip: some shopkeepers deal in foreign currency. Always remember to show them the price that you intend to pay is in Chinese Renminbi (RMB). Also, as an added tip, if a particular vendor seems unwilling to compromise, you can always pretend to walk away. This usually gets the vendor to lower the price so s/he can make the sale. 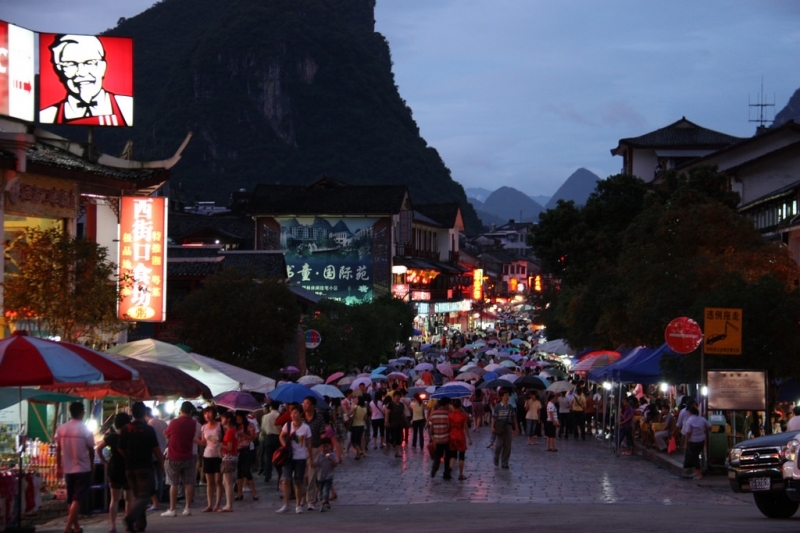 If you are planning to visit places such as Yangshuo, you might want to consider signing up for a hotel/hostel tour. This is very convenient if you just want to relax and don’t want to take public transport. This is also the only way to get out of town without a car. Reminder: it is helpful to compare prices if you are on a budget before you settle on a particular package. The price varies depending on the entrance fees and tour package. 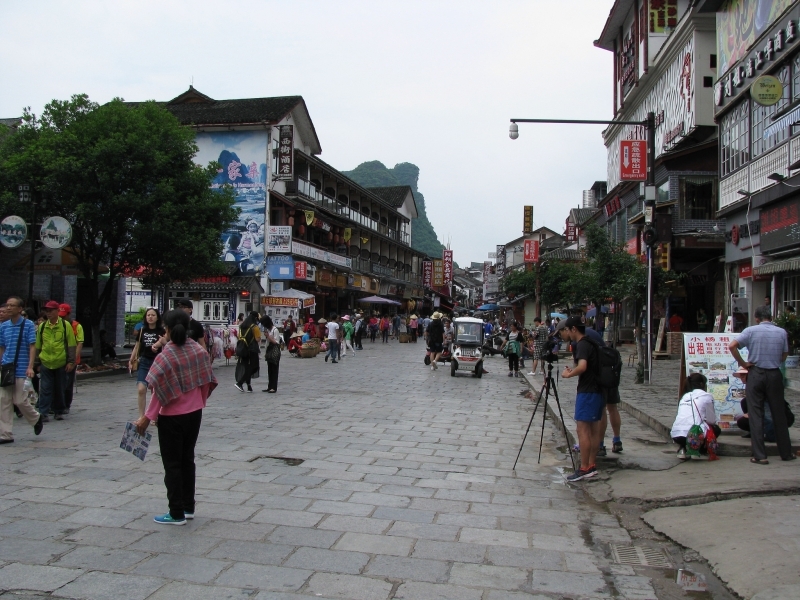 I discovered that most tourists actually book a group tour with the hotel/hostel and depart to Yangshuo in the morning. 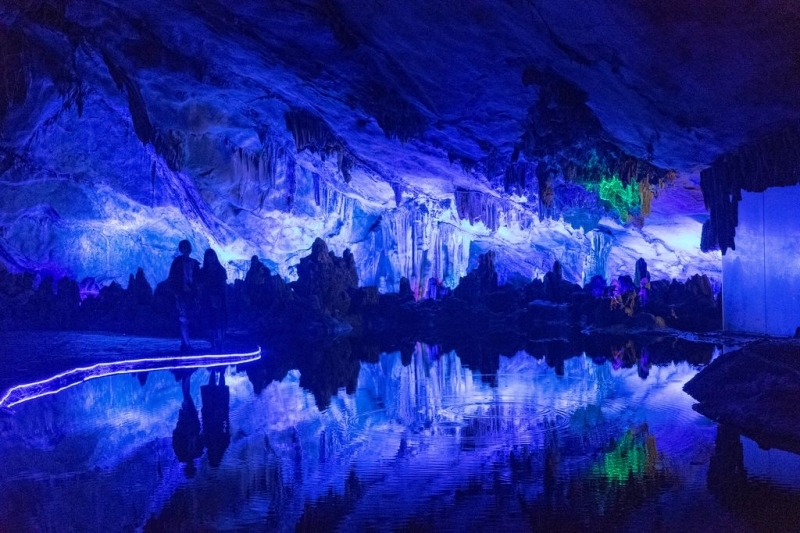 A trip to a place such as the Silver Cave would take a day, and for approximately 120 USD per pax. You will be paying for transport, a meal and the entrance fee. Extra tips for you to move around confidently. Your hotel/hostel is the best place to ask. I would always bug them with questions on where to go, what I should eat and also how to move around (from writing down the Chinese characters of the dish name to directing you on the best view in town). Do not be shy to ask! Yes, do not worry! Be open about visiting China and its many provinces. Travelling is all about discovering something new and re-discovering the things you like and dislike. The idea of visiting China without speaking Mandarin can be a scary prospect, but do not let that hold you back! My trip to Guilin has allowed me to be sure that in spite of not being able to speak Mandarin, most people would do just fine. With the tips and reminders above, I believe you will be able to explore any parts of China with ease too! And on that note, it’s time to book your flight and explore without fear!